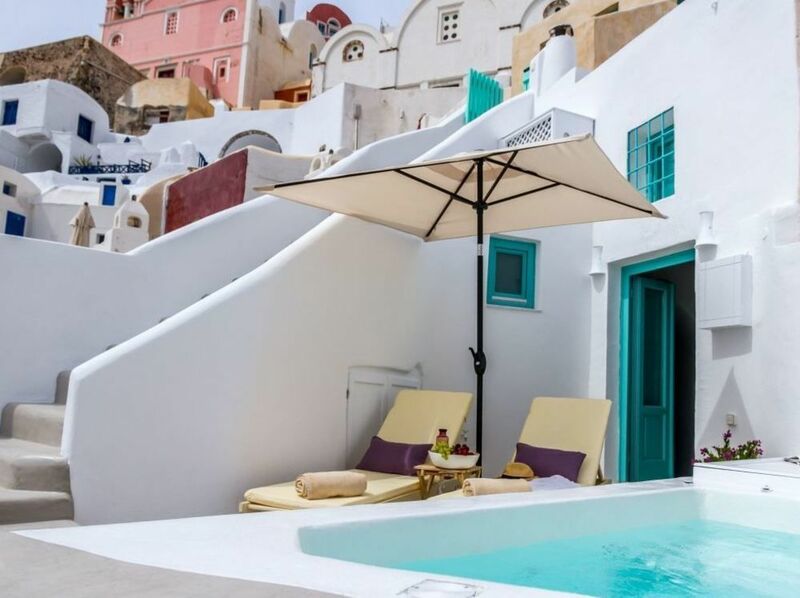 Description: Wonderful location close to the center of Oia and offering open views of the caldera of Santorini. 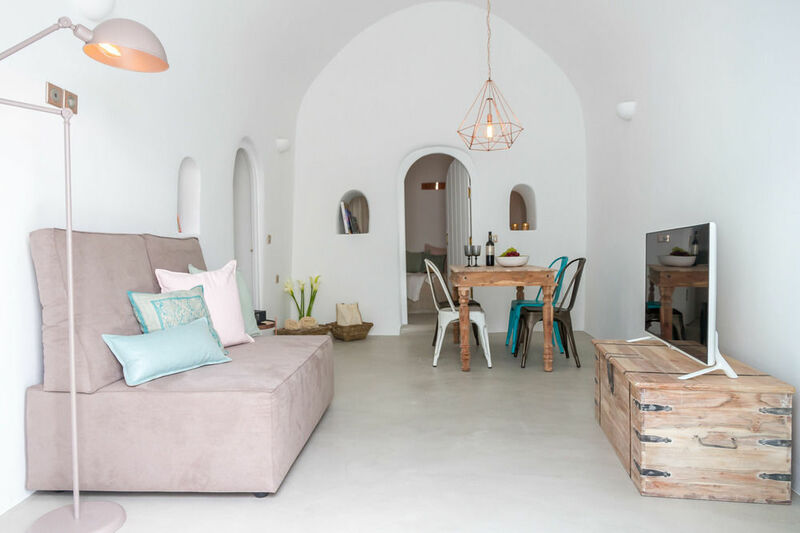 Villa Coco is a new property with 2 bedrooms, a bathroom with a rainfall style shower, attractive living room with a cozy dining area. 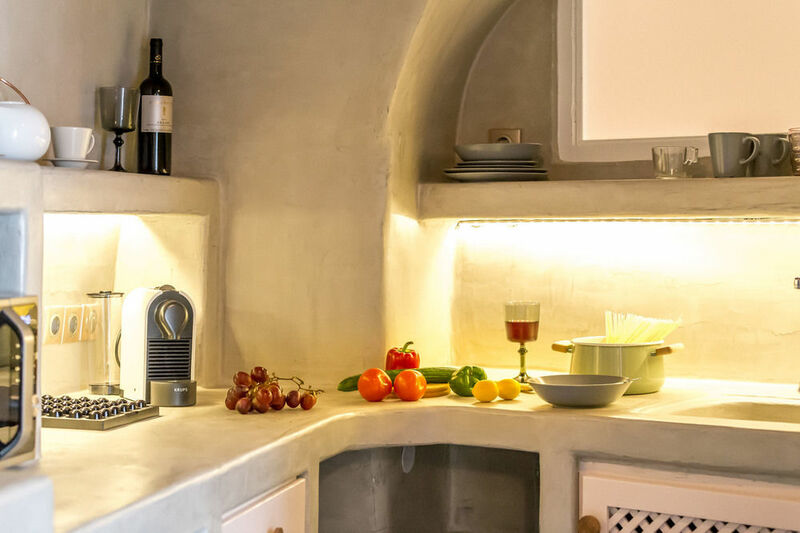 The property also features has a small well-equipped kitchenette with all modern appliances. 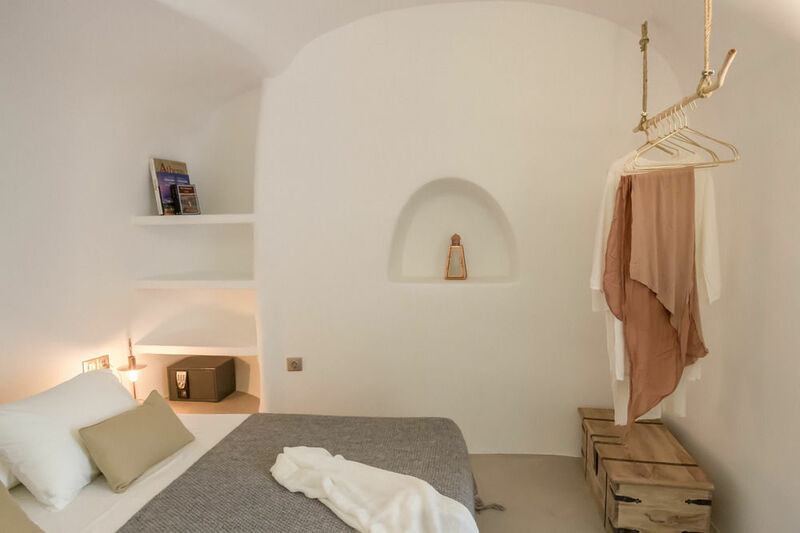 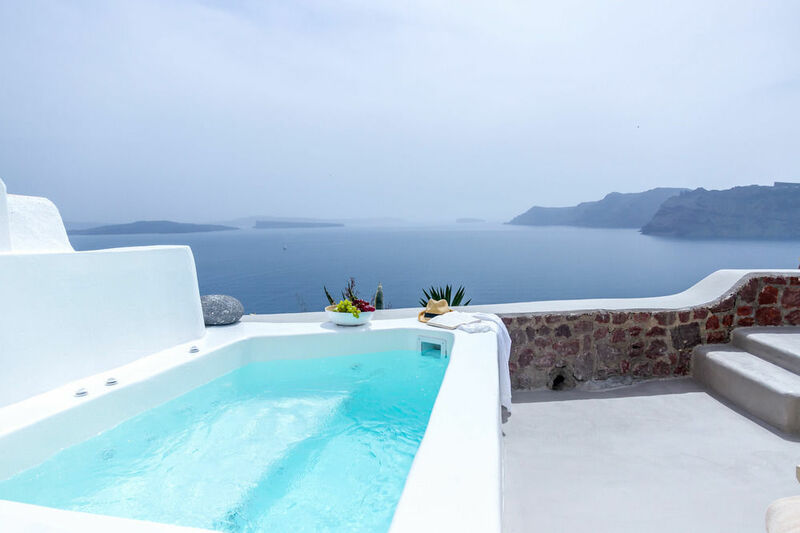 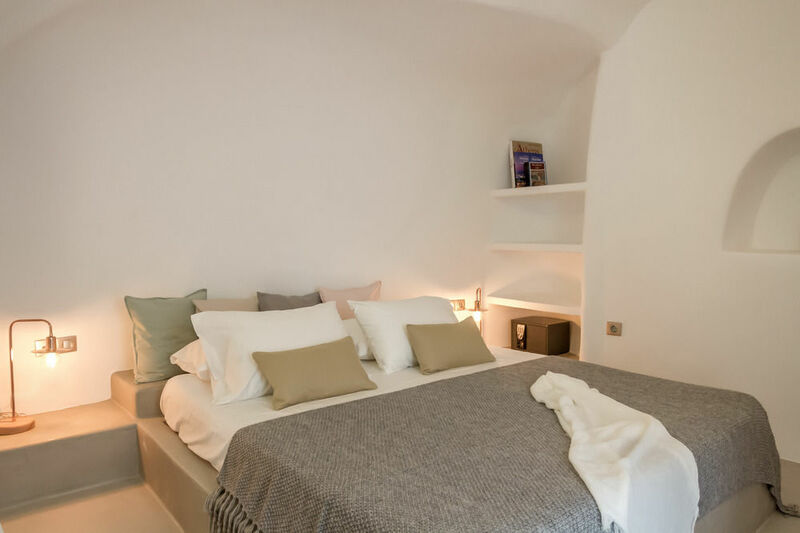 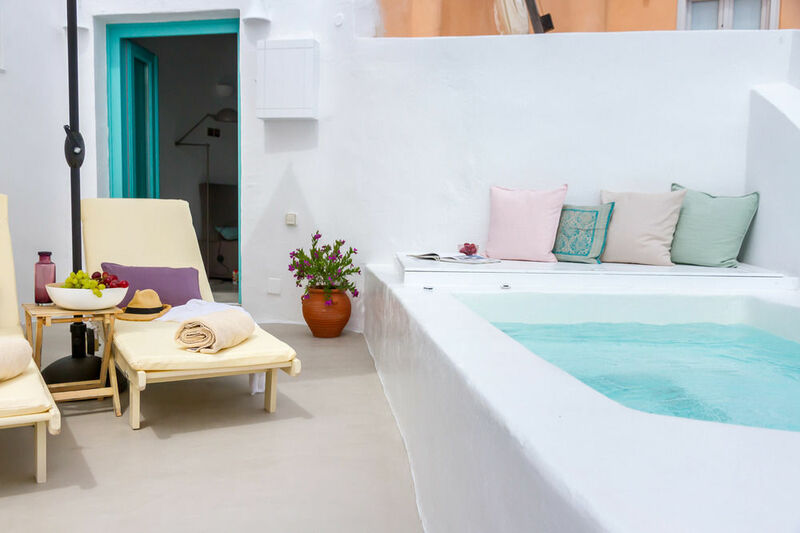 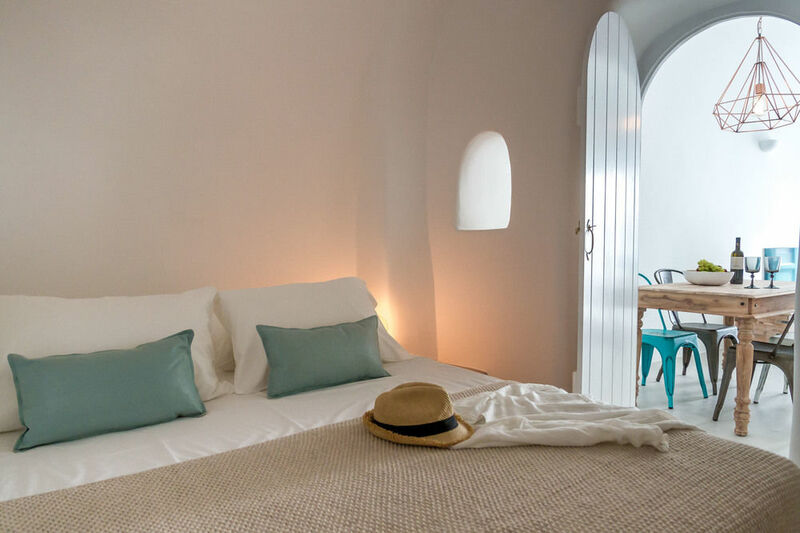 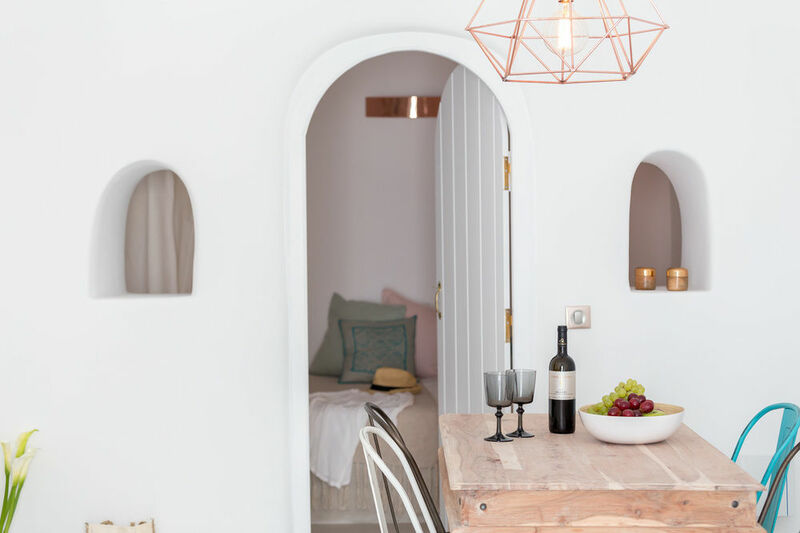 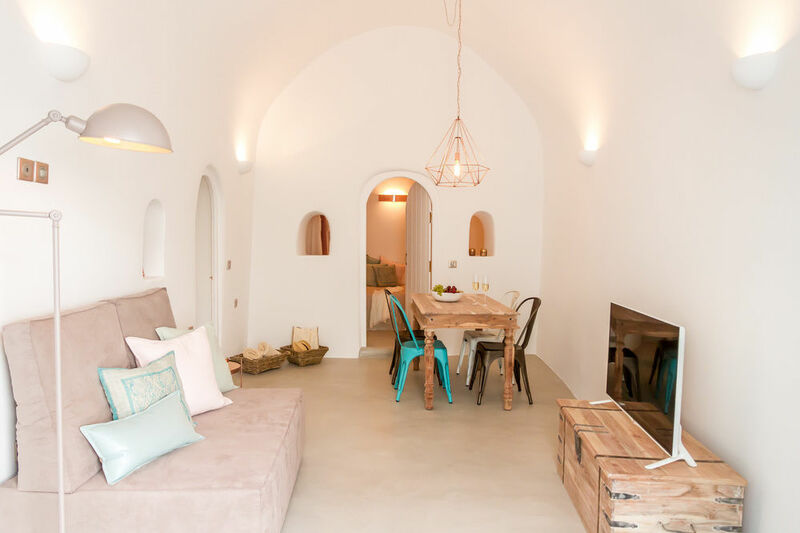 Villa Coco is an ideal choice for a romantic stay in the beautiful village of Oia, with a luxurious environment and excellent facilities. 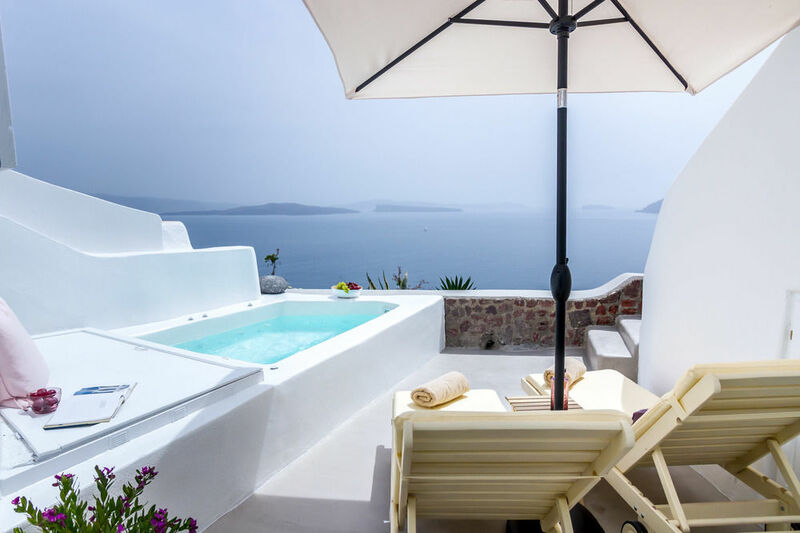 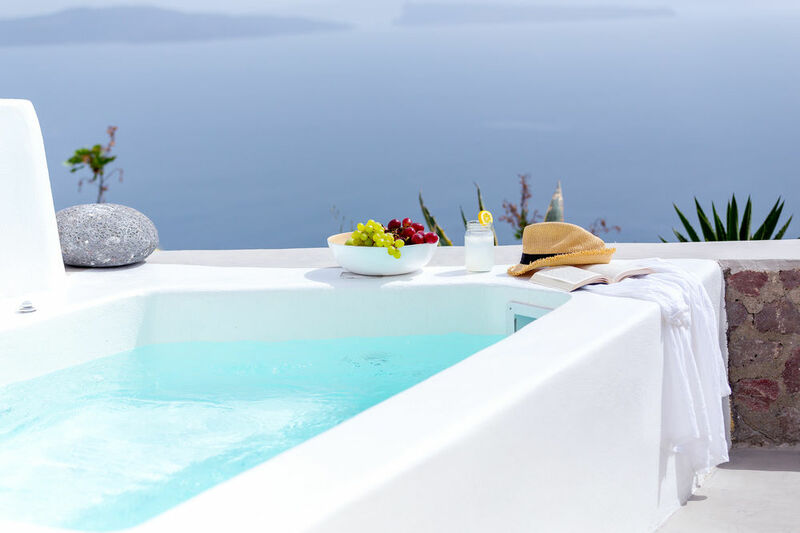 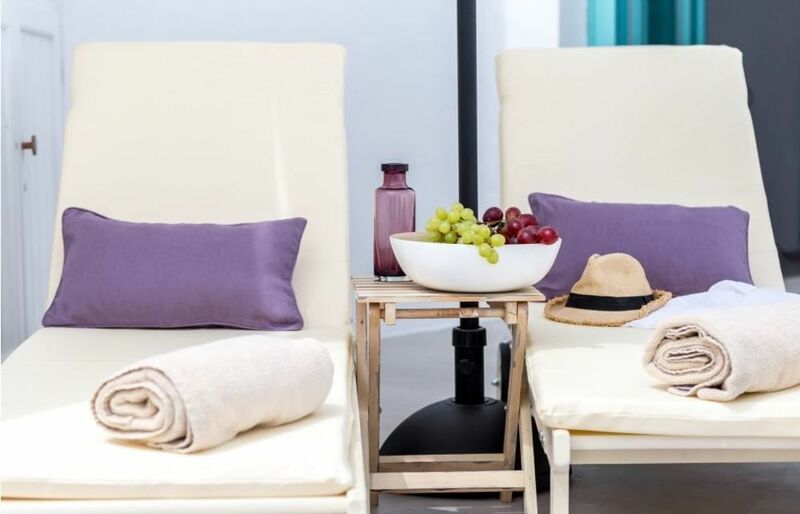 Outside: The terrace has sun loungers, a heated plunge pool and glorious views of the Aegean sea.